BMW has finally given us our first official, undisguised look at its futuristic, all-electric city car. 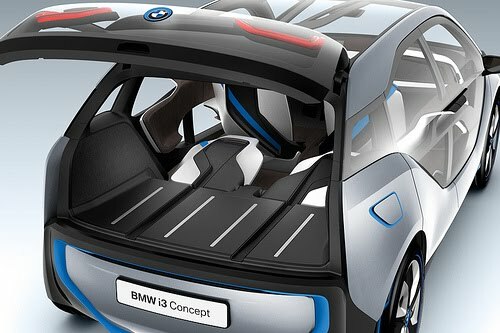 For now the i3 is still labeled a concept, but this car is much more complete than the MegaCity concept that preceded it. The four-passenger i3 concept is perhaps the most advanced take on electric cars yet, and draws on BMW's experience with a fleet of 600 Mini E and 1000 BMW ActiveE electric cars. Unlike those cars, however, which were traditional cars converted to electric drive, the i3 was developed from the ground up to accommodate electric propulsion. BMW says that CFRP is as strong as but 50 percent lighter than steel. The entire Life CFRP shell weighs less than 220 pounds. Better yet, it never rusts and reportedly offers better protection than steel in a crash. CFRP only forms the Life sections' shell, however, as replaceable plastic panels form the i3's true bodywork. The Life section slots on top of the Drive chassis and is attached with strong adhesives and four bolts. The i3's electric motor was developed by BMW because the company wanted tight control over the feel and performance of its powertrains. It is said to be 40 percent smaller than the similar motor used in the Mini E. It is rated at 170 hp and 184 lb-ft of torque, and has a single-speed transmission. The motor is located directly above the rear axle, making the i3 a rear-wheel-drive vehicle and also keeping the front-rear weight balance even. The motor is fed by a liquid-cooled lithium-ion battery pack that is mounted under the floor of the passenger compartment. This means there is no intrusion or transmission tunnel in the cabin, and also helps keep the i3's center of gravity low for better handling and stability. BMW wouldn't specify the battery's storage capacity. Though the maximum range per charge is rated at 140 miles, BMW admits real-world i3 mileage will be between 80 and 100 miles -- approximately on par with the range offered by the Nissan Leaf. Data from the Mini E trials taught BMW that a battery range of 74 to 93 miles would satisfy 90 percent of all drivers. The i3 concept can reach 62 mph in 7.9 seconds, and its top speed is limited to 93 mph because BMW says higher velocities would drain the battery too quickly. A full charge is said to take just six hours via a standard European outlet, while an optional fast-charger yields an 80-percent charge in just one hour. Charge times on American 120-volt outlets will likely be longer. 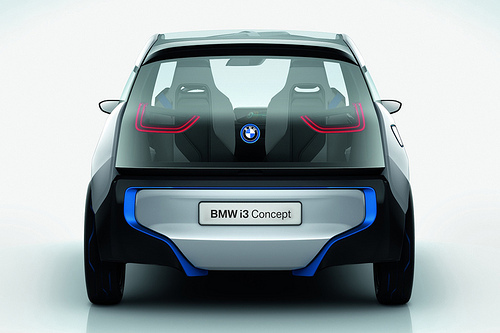 i3 Concept. 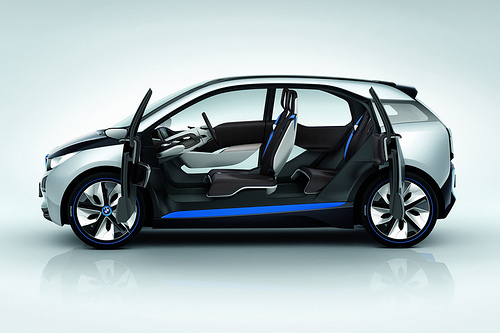 The electric motor of the BMW i3 Concept is designed primarily for operation in an urban environment. Already tested in a pre-production version in the BMW ActiveE, the version of this permanently excited hybrid synchronous motor which will be used in the BMW i3 Concept has undergone further optimization in terms of weight and driveability. A single-speed gearbox accelerates the BMW i3 Concept to an electronically governed 150 km/h (93 mph). 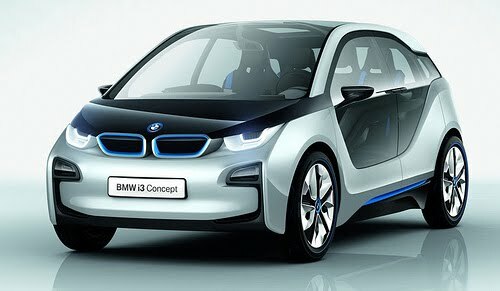 The BMW i3 Concept accomplishes 0-60 km/h (37 mph) in less than four seconds and 0-100 km/h (62 mph) in under eight seconds. The motor is located directly above the drive axle, for optimal and typical BMW rear-wheel-drive handling characteristics. With the dual accelerator/decelerator function of the accelerator pedal approximately 75% of all braking operations around town can be performed by energy recuperation which generates a braking effect, BMW says. Intensive use of this energy recuperation function of the electric motor can increase the driving range by up to 20 per cent. Only when the driver’s braking request exceeds a given level is the conventional brake system of the BMW i3 Concept engaged as well. A coasting facility makes this single-pedal control of acceleration and braking using just the accelerator even more user-friendly. 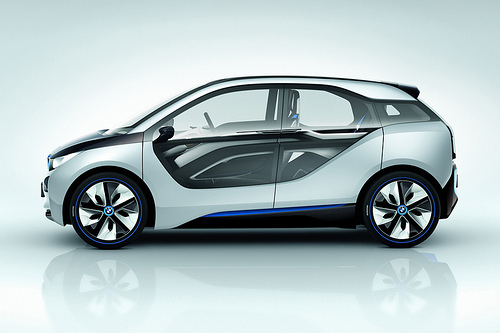 The BMW i3 Concept features a distinct “neutral” position of the accelerator pedal—i.e. rather than switching straight to recuperation when the driver eases off the pedal, the electric motor’s zero torque control keeps the drive train disconnected as long as the pedal is in this position. The vehicle now coasts without consuming power, driven by its own kinetic energy. Used as part of a proactive driving style, this coasting mode is a way to increase the driving range even further. 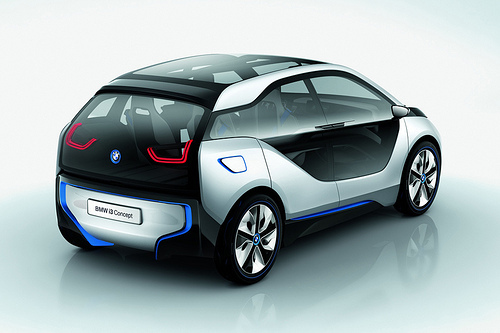 BMW developed the motor and power electronics for the i3 Concept entirely in-house. The space requirements of the electric motor used in the BMW i3 Concept have been reduced by 40% compared with the motor used in the MINI E. This compact drive unit is mounted over the rear axle, together with the power electronics, transmission and differential, causing no loss of interior space. The BMW i3 Concept’s battery system has also undergone detailed optimization which reduces the extent to which external factors can influence the vehicle’s power and driving range. An integrated liquid cooling system keeps the battery at its optimal operating temperature at all times, helping to boost the performance and life expectancy of the cells. The climate/heating system cools the fluid circulating in the battery housing via a heat exchanger. If necessary, in winter, this fluid can also be heated in order to bring the battery up to its optimal operating temperature of around 20 °C. The battery can be fully recharged in six hours at a standard power socket. If a high-speed charger is used, an 80% charge can be achieved in just one hour. Optional range extender. 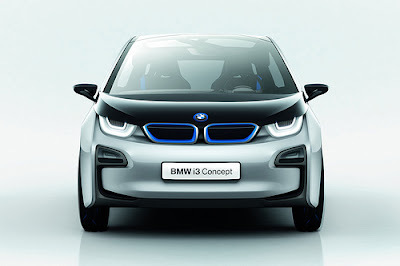 The BMW i3 Concept offers an optional Range Extender, the REx, which allows the electric driving range to be increased. REx, a small gasoline engine, drives a generator which maintains the battery charge level and therefore extends the range of the electric motor. As soon as the battery charge reaches a critical level, REx supplies the necessary energy to get the driver the rest of the way to the destination. The compact size of the electric motor used in the BMW i3 Concept means there is room left over to accommodate REx and its attached generator over the rear axle, alongside the drive components. The gasoline engine complies with the SULEV standard. To reduce fuel consumption to a minimum, REx also features such functions as Automatic Start-Stop and other intelligent operating strategies.